We’d love your help. Let us know what’s wrong with this preview of Engaging Unbelief by Curtis Chang. Through a careful study of Augustine's City of God and Aquinas's Summa Contra Gentiles, Curtis Chang has discerned a valuable rhetorical strategy for engaging unbelief in cultural contexts where Christian faith seems less and less plausible. 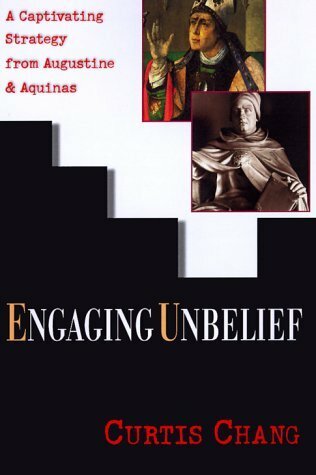 To ask other readers questions about Engaging Unbelief, please sign up. So I didn't love this and was not able to finish it. The writing style is odd and not helpful for a person who is trying to learn apolegetics so that they can do what the title says they should. I like the idea behind the book but it really only works as a history on apologetics and the 2 men from whom the book takes its argument. Not really worth your time.